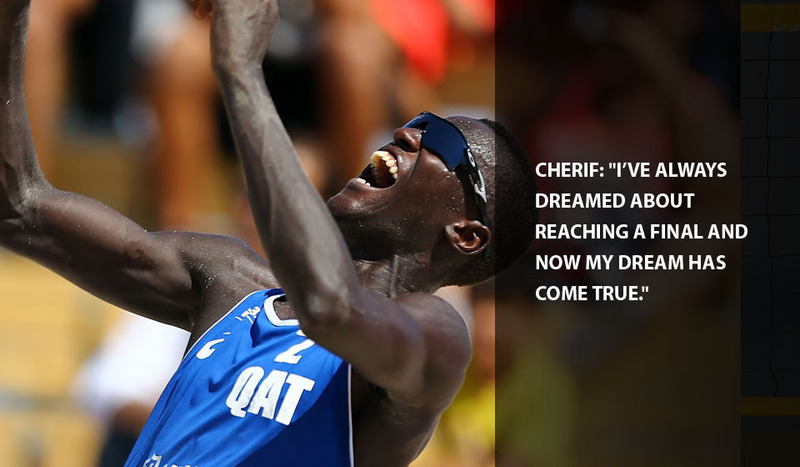 Kish Island, Iran, February 19, 2016 – Jefferson Santos and Cherif Younousse had to hold their nerve to reach their first FIVB Beach Volleyball World Tour final when they defeated Bartosz Losiak and Piotr Kantor in the Kish Island Open semifinals on Friday. The Qataris defeated the Polish pair 2-1, (15-21, 21-18, 18-16) after having let slip three match points in the tie-break. Jefferson and Cherif will now play Russia’s Oleg Stoyanovskiy and Artem Yarzutkin in Friday’s final. The Russian’s defeated Poland’s Michal Kadziola and Jakub Szalankiewicz 2-1 (18-21, 21-14, 15-10). 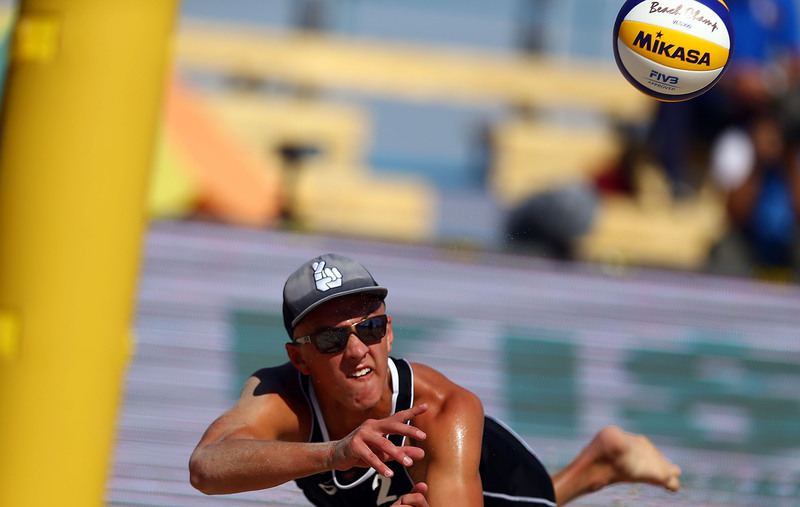 The match was the pairs’ first World Tour semi-final and whether they win gold or silver in Kish Island the result will have superseded their previous best, which was a quarterfinal place at the Netherlands 2015, FIVB Beach Volleyball World Championships. Stoyanovskiy and Yarzutkin continued their remarkable run and matched Jefferson and Cherif’s achievement by reaching their first World Tour final in their first semi-final. Just like their quarter-final the Russian pair had to fight back from losing the opening set, but after they drew level they dominated the tie-break and the Polish pair had no answer to Stoyanovskiy’s dominance at the net nor Yarzutkin’s movement at the back of the court.